The low cost carrier would issue up to 45,000,000 warrants to Kal Airways and 19,169,000 warrants to Kalanithi Maran. There would be the option to convert these warrants into equivalent number of shares, each with a face value of Rs 10 per piece. SpiceJet shareholders have approved issuance of more than 6.4 crore convertible warrants to its promoters -- Kalanithi Maran and Kal Airways. The low cost carrier would issue up to 45,000,000 warrants to Kal Airways and 19,169,000 warrants to Maran, according to a regulatory filing on Tuesday. There would be the option to convert these warrants into equivalent number of shares, each with a face value of Rs 10 per piece. The proposal was approved by the shareholders through postal ballots. According to the postal ballot notice, the currency of warrants to subscribe to equity shares would be 18 months from the date of allotment of warrants. "Provided that the allottee shall not be entitled to apply for equity shares against such warrants on or before March 31, 2014. "In case the option to subscribe to equity shares against such warrants is not exercised by the allottee within eighteen months, the consideration paid by the allottee in respect of such Warrant shall be forfeited by the company," the notice had said. Kal Airways held 29.24 per cent stake in SpiceJet while the shareholding of Maran stood at 24.24 per cent at the end of 2013 December quarter. 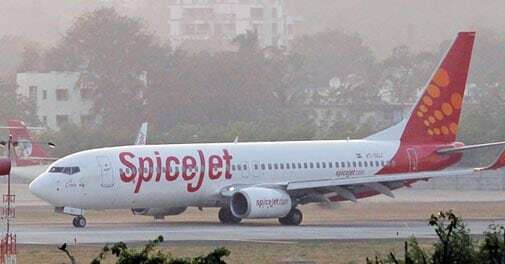 Shares of SpiceJet on Tuesday closed almost flat at Rs 15.65 on the BSE.